Showing results for tags 'scenario'. A new fictional scenario for CMSF2: “Coup d’etat” is in Beta testing now and is intended as player vs AI. The player will lead rebel (Syrian) units in an early morning (0400hrs) coup attempt to overthrow the governing regime (also Syrian). It is set in the fictional third world country of Abbudin and takes place in the heavy urban terrain of the city of Al Mout. The city of Al Mout is a heavily modified portion of the Ramadi-Government-Center map created by @LongLeftFlank. Approximately 1072 meters by 592 meters. The scenario has a variable end time. The optimal scenario length is two hours and 15 minutes however it can be played to four hours. If the scenario is played longer than two hours and 15 minutes the regime AI is awarded an extra 200 Victory Points. It requires all the CMSF2 modules to play since it features US Marines (guarding a US Consulate & later an amphibious force), a British SF unit (hunting for WMDs) and Canadian advisors (assisting the local city police). The scenario was created with the idea of taking a small, under equipped, rebel force and using in-game intelligence and insurgent tactics to expand the combat power of the rebel force until the rebels controlled the city. Below are some daylight screenshots of the urban part of the map. View of the 4th December Bridge. Slums in the south west area of the city. Looking east on Al Jazeera Boulevard from the area of Asfarr Taksi Company. An Agricultural Specialist, looks east out a window from Hotel Mout. In the distance is the Mayoral Residence along the bank of the River of Martyrs. I’ve been working on a new scenario for CMBS 4.0 called “Tactical Operations Center”. It is in Beta testing now and is intended as player vs AI. Below is part of the Designer Notes that gives an overview. Followed by a few screen shots. This is a fictional scenario that may take a while to load depending on your computer. The player takes charge of a Tactical Operations Center (TOC) located in a Forward Operating Base (FOB) for a four-hour shift. The player is responsible for the successful execution of the mission during his shift. The scenario was created with the idea of being a static campaign in a counter insurgency environment. It is a multi-battle scenario set on a large map (approximately 7.5 square kilometers) that, unlike a traditional combat mission campaign, shows persistent map damage. So, as the player maneuvers a Quick Reaction Force (QRF) down a roadway in response to actionable intelligence he can drive past the burning wrecks of a mistake he made earlier or the scattered bodies of a Separatist unit he destroyed. The scenario also provides three types of intelligence to help guide the decision-making process. The three types of intelligence are Human Intelligence (HUMINT), Signals Intelligence (SIGINT) and Tactical Site Exploitation (TSE). HUMINT is collected from Separatist who defect under an amnesty program administered by the Ukrainian government. The HUMINT intelligence is in the name field of defectors and includes an intelligence code, grid coordinates and time. A quick glance at the intelligence code sheet (included in the briefing) allows the player to know what, where and when something will occur or where something is located. Some of this HUMINT is time sensitive. The TSE and SIGINT are provided by touch objective notifications at the top of the screen. This intelligence will be useful in bringing The Butcher of Belz (enemy commander) to justice and for disrupting Separatist operations. The grid coordinates are created by a pattern of grid lines placed on the map using a blue occupy objective. The grid numbers are displayed on the map edges using landmarks. A brief explanation of this modified military grid system and how to use it is provided in the briefing. The player can, if he decides to, launch an air assault during the setup phase. There are four different landing zones to choose from. Forward Operating Base (FOB) Apache has a Helicopter Landing Zone (HLZ) where reinforcements will arrive, and other units will exit from. The FOB also has a mortar pit that will be resupplied with ammo both by air and by convoy if the roads and HLZ remain open. Another feature included in the scenario is the ability to destroy base camps thereby preventing the Separatists from receiving their scheduled reinforcements. A Quick Reaction Force (QRF) mount their Strykers as 120mm mortars fire in the background as the FOB responds to assist an ambushed patrol. Separatists scouting for vulnerable infrastructure to attack. Separatist mod created by @pquumm. Street fight in the town of Belz. I have just started playing Edge of Darkness, which is a bunch of 5 Scots taking a town. I am playing some bagpipe music to lift my Jocks' morale, even if it annoys me! (love the classic Brit TV series names btw) I won't do any spoilers, but I was puzzled that some of my reinforcments - namely the assault pioneer section + HQ + Land Rover didn't turn up (OK that may be a normal HQ Snafu!) when they were supposed to; 7 Platoon arrived but not them. I could do with more smellies on the ground for an urban dust up - my Glaswegian scum love it! Is a straight razor prohibited in close combat? I am operating SnailKrieg, a form of warfare I pioneered in BS. It's exactly like BlitzKrieg but much...much slower. I creep up by inches. It does work and only goes wrong when I get bored in the later stages of the game and take unnecessary risks. The Javelin infantry aren't due till D+45. I really need them and don't feel like going down while there are several active BMPs which are going to do me a terrible mischief if I expose myself (?!). So this is in relation to a topic I posted just before Thanksgiving.... There may be some mild spoilers ahead, but nothing I think is show-stopping. Just recently I was playing The Lions of Carpiquet. For those who don't know it, it's a challenging campaign that covers a difficult battle in the Commonwealth sector west of Caen. 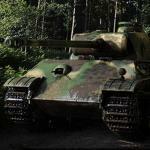 It's one of the few that really gives the player some serious time to make decisions on how to approach the objectives and neutralize the Germans. The first two scenarios offer the players three hours to complete them; the second, I believe, is somewhere in the two-hour range. I was able to make good use of reconnaissance and artillery spotters to locate and eliminate German positions with supporting arms and shape the battlefield to make the best use of my infantry in the attack, and my armor when it was needed. I even got the chance to clear a mine belt with flail tanks, which was really cool to watch. I took casualties, but they felt reasonable to the firepower and deployment of the Germans and the unforgiving nature of the terrain (it's almost pancake flat throughout!). I remember thinking "Finally! I'm able to actually to use recon, tactics, and mission planning in a way that maximizes mission accomplishment while minimizing casualties. Scenarios 2 and 3--the first big moves of the campaign after the recon mission--were tough, but they're engaging. I had started this campaign after dropping Courage & Fortitude at around the Razorback Ridge scenario. I had managed through scenarios two and three, but once I hit Razorback Ridge I just gave up. It's an absurd scenario... Not because its a necessarily unrealistic piece of ground to have to take, or an unrealistic enemy, but because the scenario conditions themselves--the time and map limits--make it an over-the-top "lesson" in taking casualties just for the sake of doing it. Once I began Carpiquet, it gave me an opportunity to contrast between the two and learn a little bit about what frustrates me about the average scenario design, and learn a bit about myself as a player. Here's what I learned: I hate taking casualties. But not just any casualties. I hate taking casualties that are forced on me by the conditions of the game itself and the scenario, NOT the conditions related to the enemy and the terrain. If I take casualties because I misread a piece of ground I can generally stomach that. I made the mistake. What I can't stomach is when I have to rush through a scenario because I have to take two or three objectives over a kilometer away, through a defender, with a rifle company or so, with less than an hour on the clock. I get frustrated near to the point of yelling whenever the morale model forces a squad to effectively commit suicide by running into the open, or worse, toward the enemy (which has happened more times than I can count), when they break and run from perfectly good cover when under fire. I want to throw my mouse through a window when a tank crew bails out of a perfectly good taken when they get nervous only to get cut down by an MG on the outside. Some of these are controllable, some of them are not. At least not yet. The engine is great, but flawed. But I'm confident that at some point those flaws will inevitably be worked out with enough time and programming. It's maddening beyond belief, however, when I have to take casualties over something completely avoidable within a scenario. . . . Or with how it's design. Case in point: When I reached the fourth scenario in Carpiquet was was deployed with two companies, in the open, looking at a ruined, but dense town filled with Germans. I hid both companies, plus my mortar assets as best I could where they were placed. I pre-registered my mortars on likely areas with troop positions and called in my air where I felt it would do the most good, all as recommended in the scenarios briefing. Then I hit the Red Button. Within the first five minutes my on-map mortar section was obliterated. A German sniper had popped four or five guys from one platoon. Mortars and MGs from within the town were raking another. I had no way of avoiding any of it. So I restarted the scenario. On the second go, I replotted my fires and hid my guys. This time I avoided using the on-map mortars as that might be what was bringing down the mortars--perhaps they had been spotted as they fired. Instead I used my air and off-map 107mm to handle the prep. I pressed the Red Button. . . . And within five minutes the results were about the same. What I quickly realized was that the scenario, unlike the previous two, doesn't give the player the option or room to deploy in any other way. The Germans in the town were able to spot the Bren carriers and call in fire on that position. I have no way of repositioning them or getting them out of the way until after the scenario begins, and they happen to be carrying a good bit of my 81mm ammo. They're big fat targets and I have to just take whatever comes from because of it. I have to take casualties not because I failed to move my guys, provide cover for them, lay down suppression, or any other mistake. I have to take casualties because the scenario essentially forces me to take them. I don't get to have a say. Just press the Red Button and die. I tried the scenario two or three more times with different variations. The results were about the same each time. I was disappointed, but it's something I see time and time again. Aside from some aforementioned issues with the program itself, which will undoubtedly diminish over time, the game borders on a simulation of combined arms combat, and yet when it comes to scenario design it often seems like the game inevitably gets boiled down into a "gamey" reenactment of history, or worse, a war-movie replay, that basically remove all the agency from the player and force decisions that are tactically unwise and nowhere even remotely realistic and in keeping with the tactical and operational considerations of the type of conflict the game seeks to simulate. Why even move soldiers on a map if all I'm supposed to do is send them to their death without cause? It's not my intention to necessarily hammer the designer of the Carpiquet campaign, or any campaign. I get that it's a difficult and often thankless job. I only use them as examples in order to pose a question: Why is it necessary for me to take casualties outside of my own errors? What am I supposed to be learning? Why create a simulation that represents the tactical landscape of modern warfare, then limit the tactical options for the player to a binary choice? /////////////////////////////////////////////////// SPOILER ALERT ////////////////////////////////////////////////////////////////// ///////////////////////////////////////////////////////////////// SPOILER ALERT //////////////////////////////////////////////////////////////////// The King Copper Mines is a fictional scenario set in Africa and created by @MikeyD. Two fictional third world counties fight over copper mines using Warsaw Pact equipment in a meeting engagement. The scenario is 50 minutes long. The conditions are Overcast, Hot, Wet, Wind heavy from the south, Civilian Density: Light. Friendlies have one company of T-55 tanks, two platoons of BTR infantry, one F/O, two spies and two batteries of 122mm artillery. The OpFor has approximately 10 T-55 tanks and 200 infantry. I used MikeyD's African Mods while playing the scenario. The mission starts at 0645hrs. 2nd Platoon (BTR) will secure the mine complex which has buildings up to eight stories high. The F/O will take position in the upper floors and report on OpFor activity. 2nd Tank Platoon (T-55s) will support 2nd Platoon BTR. The remaining three platoons will, on order, move west from the assembly area to engage OpFor as the situation develops. Situation NATO forces have deployed along the Dnieper River in a desperate attempt to stop the Russian forces that smashed Ukrainian forces in the area of the frontier twenty-three days ago. The Russian forces, consisting of the storied 8th Guards Tank Army reinforced with an additional tank regiment, are racing west on the E-50. Ukrainian resistance has evaporated. The U.S. 2nd Infantry Division has been thrown forward, with orders to stop the Russian advance. The 3rd Brigade of the 2nd Infantry Division is located approximately twenty kilometers in front of you, directly on the E-50. The 2nd Infantry Division TOC is located with them. In the last 48 hours, Russian mechanized infantry has pushed out two salients around 3rd Brigade that threaten to surround it. The salients are very close to closing on the small town of Novohurivka, a tiny hamlet directly on E-50. The general lift battalion from the 101st Airborne (Airmobile) is currently supplying the 3rd Brigade by air. E-50 is one of two MSRs supplying 3rd Brigade, and therefore must be secured again as soon as possible. The E-50 runs directly through Novohurivka. In addition, there is a small, ancient smuggler’s route running east and west located just off the E-50 to the south that 8th Guards is using to funnel supplies and equipment into Novohurivka. There is also a ridgeline that crosses the E-50 running north and south that is being used by 8th Guards for firing positions. As the pinchers close on 3rd Brigade, the 8th Guards Tank Army is committing more and more units to the encirclement, including large numbers of aircraft. Units from three separate regiments have been identified. This leads to the conclusion that 3rd Brigade is under attack from at least a division sized element of 8th Guards Tank Army. In the last thirty minutes, 3rd Brigade has been attacked from several directions; two mechanized companies at separate positions on 3rd Brigade’s perimeter have been overrun and destroyed. Enemy armor was destroyed less than 500 meters from 2nd Division TOC. Under this enormous pressure, 3rd Brigade has turned west, and is fighting towards your position. Mission Your mission is to occupy and secure the MSR from any possible enemy interdiction, and allow it to be used to resupply and relieve 3rd Brigade. You are to hold the E-50 open and allow 1st Brigade, 2nd Infantry Division to pass through you one hour from now. In one hour, a battalion of the 101st will conduct an air assault into the area occupied by 2nd TOC and 3rd Brigade, 2nd Infantry Division. At the same time, 1st Brigade, 2nd Infantry Division, which is forming up behind you, will pass through you to join with and relieve 3rd Brigade. The E-50 must be clear of enemy forces by then, or we risk losing 2nd TOC, 3rd Brigade, and any airmobile forces lifted in to them. To meet this timetable and to relieve 3rd Brigade at the earliest possible time, you must clear the E-50, the smuggler’s route, the ridge and Novohurivka itself of enemy forces within 30 minutes. Friendly Forces You command Task Force Jammer, a balanced Task Force centered on the 2nd battalion of the 9th Infantry, 1st Brigade, 2nd Infantry Division. Task Force Jammer redeployed from Korea to this theatre 16 days ago, and has been re-equipping and training hard. Morale is high, all supplies are complete and all personnel are completely acclimated. Task Force Jammer is strung out along the E-50, and there appears to be questions about exactly where the maneuver elements of your command are. In theory, your Teams were traveling east on or near the E-50 about three minutes apart, with Task Force HHC traveling between Alpha and Bravo. It is possible that that is no longer the case. You will be allocated CAS and artillery as deemed necessary. Enemy Forces You face the 8th Guards Tank Army. They are equipped with the best the Russian army has to offer. They are allocating both artillery and CAS to the Novohurivka area as it becomes apparent that supply for our 3rd Brigade is in jeopardy and that the encirclement may succeed. Both enemy ground forces and support for those enemy forces are increasing by the minute. At least one company of mechanized infantry is dug in around Novohurivka, and more is arriving from the north, south and east. G-2 is not able to say how many forces are bound for the E-50, and how many are simply moving southwest through the area adjacent to the E-50 to attack the other hardball supplying 3rd Brigade. Plan Make the plan, Colonel. You do not have time to be delayed by anything. Design Notes Play as American vs. the computer only. There are no Blue plans, and a human Red player would have overwhelming strength. This is not a scenario for junior officers. If you are a company grade officer who prefers small numbers of subordinates, this scenario is not for you. This scenario is for Lieutenant Colonels and higher ranks. Various mechanisms have been used to make different reinforcement units appear to come from different places at different times. The vision was to create a scenario that would always play differently. Therefore, there are Red reinforcements that don’t always show up— their variable time takes them past the end of the scenario most of the time. In very rare instances, no Red reinforcements will show up. In a scenario that would be equally rare, they all might show up, and then you’re going to get your pecker stomped shut. In between the two extremes should be good, unpredictable games. It is also a very hard scenario to win. I’m waiting on directions on how to change my apostrophes back from illegible DOS goop to apostrophes. I also need to figure out how to create graphics for Strategic, Operational and Tactical maps. You may end up with Xs and Os. I'm trying to build a firing range for more TTP videos, and I want to place a bunch of empty vehicles as targets. I purchase a bunch of vehicles, but if I set vehicle status to 'Dismounted' I receive no vehicles. If I set them to 'Immobilized' they are deployable, but they shoot at anything trying to shoot them. If I set them to 'Destroyed', they exist, but units refuse to target and shoot them. Is there a way to place non-destroyed empty vehicles as static targets? Or is there some other method to place vehicles as static targets? Hello all, With the success of my CMRT and CMFI scenarios, I've decided to branch out into CMBS and create some content for this game as well. I only have one scenario right now, but have 2-3 more not far from completion. As always, these are not playtested to death and I don't guarantee perfection - I believe in the 75% solution now as opposed to the 99% solution weeks from now! Please give me feedback - I am always tweaking in order to produce a better experience for everyone! All my maps are "hand made" originals. They look best with my terrain mod in my opinion! Bradley Speedbump v1.0 http://bit.ly/1MMoW3Q The invasion of Ukraine has kicked off, and our tanks are rolling across the countryside. The American and Ukrainian forces were not enough to stop the Russian advance, and have been scattered into many individual groups, all seeking to delay us in whatever way they can. As the commander of your Russian Brigade Tactical Group's lead reconnaissance element, you are responsible for locating these NATO forces and either bypassing or destroying them. As your brigade pushes to Kiev, your patrol's lead vehicle is stopped by sympathetic locals, just east of a large orchard. They hurriedly explain that an American platoon with a tracked vehicle in support have established a position overlooking your brigade's main avenue of advance. The only way the main body can continue down this road unhindered is for you to dig the Americans out of their delaying position, located just west of the orchard. REDFOR vs AI only.